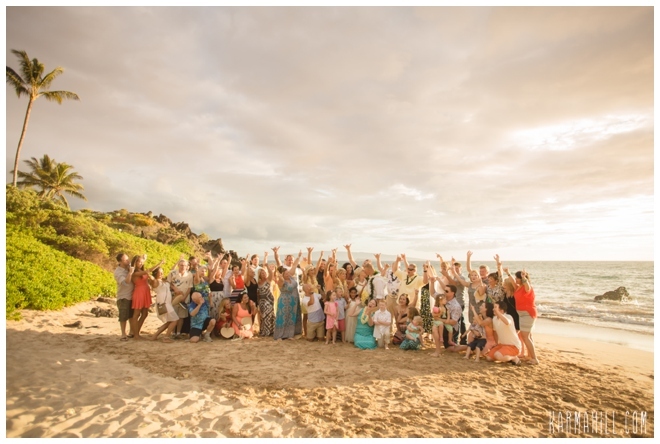 Brittany and Karl are so well loved, 50 of their friends and family joined them on the beach to celebrate their Maui Wedding!! 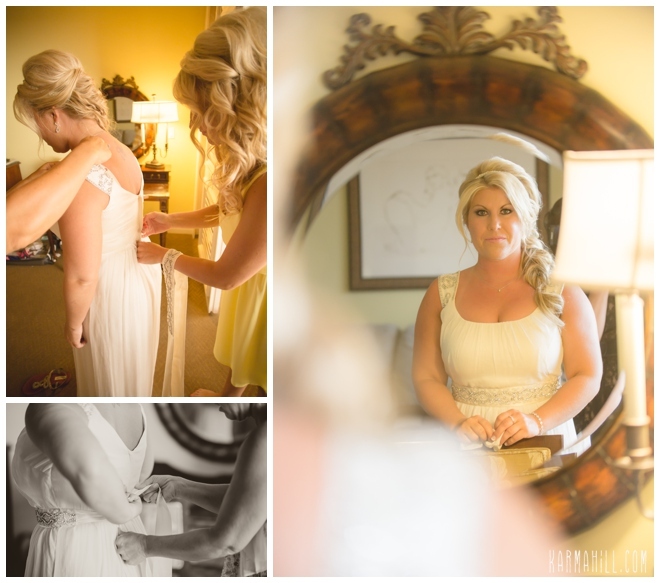 We started their photography coverage with some getting ready shots, it is always fun to meet the bride before we get to the beach and capture those last few moments before the wedding ceremony. 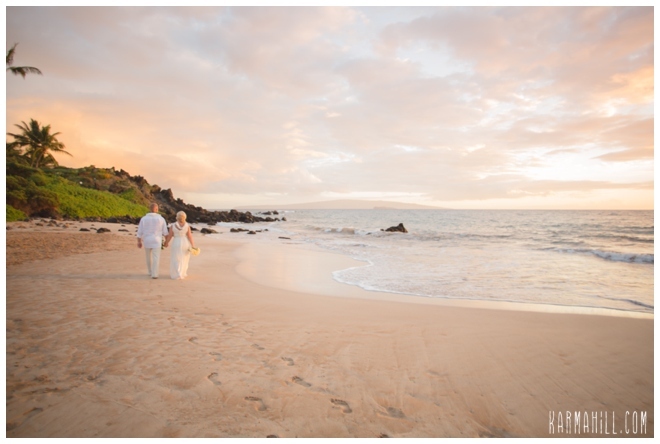 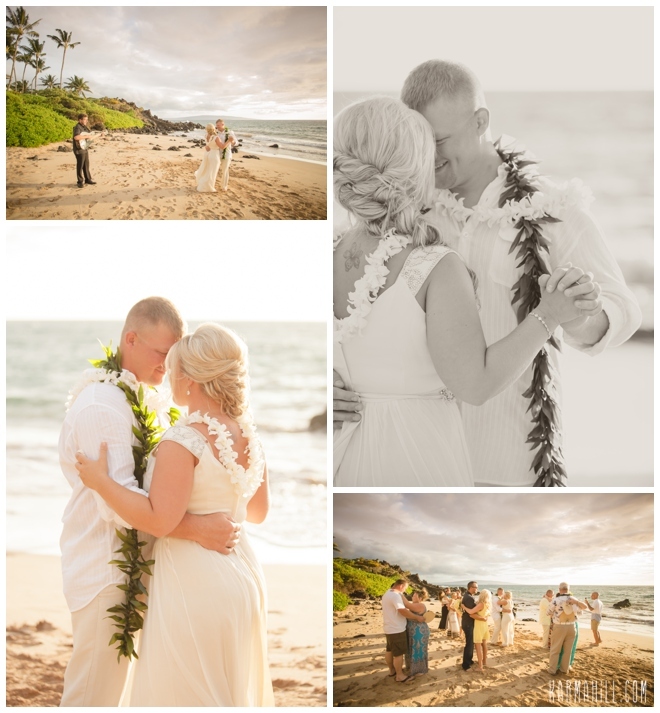 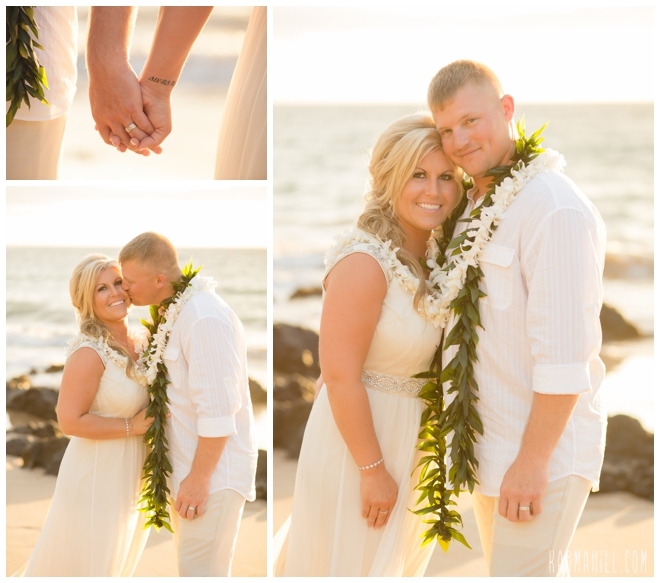 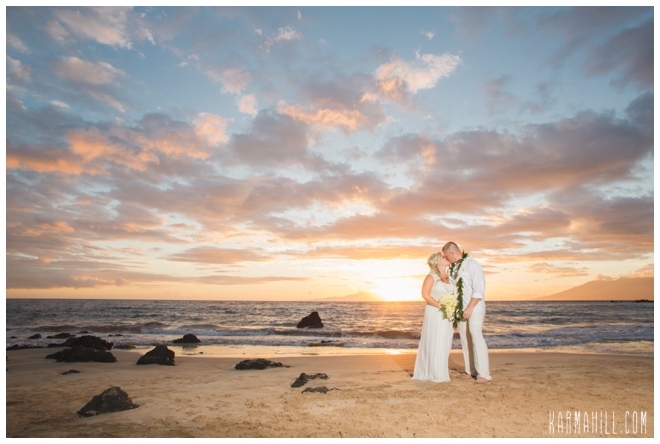 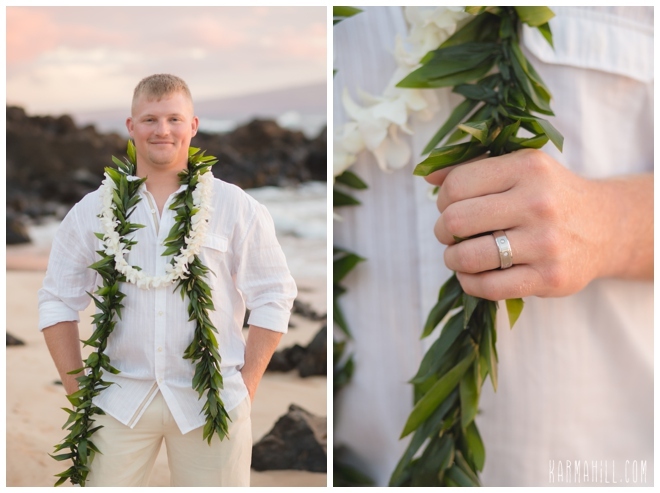 The weather was perfect and the light was glowy and colorful making for some amazing images from their Maui wedding. 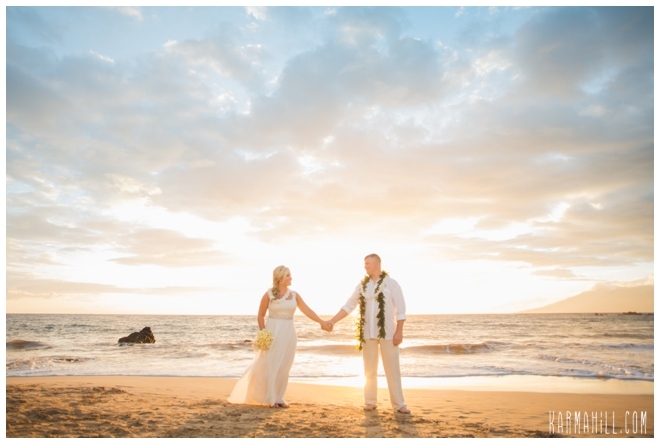 We just loved getting to know and spend time with this fun couple and we are so thankful they chose Simple Maui Wedding to be a part of their big day!! 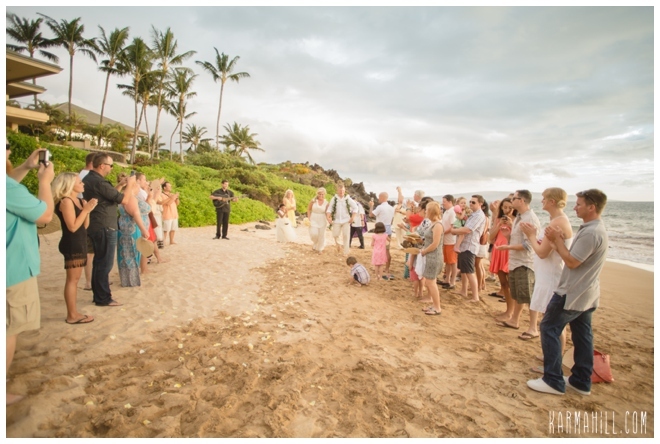 Brittany & Karl had their first dance on the beach as musician David Wolf serenaded them. 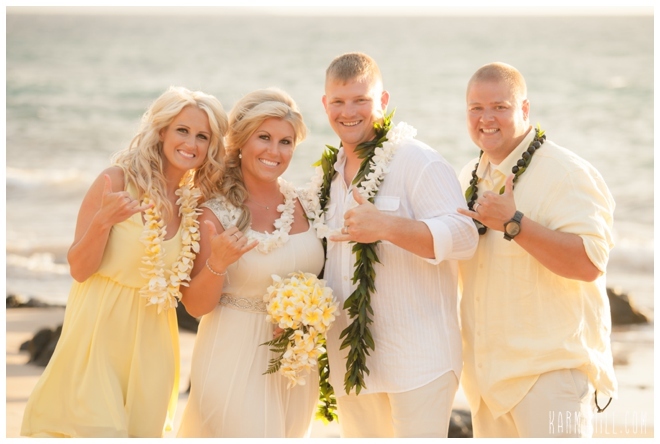 It was so sweet how their friends and family joined in on the fun! 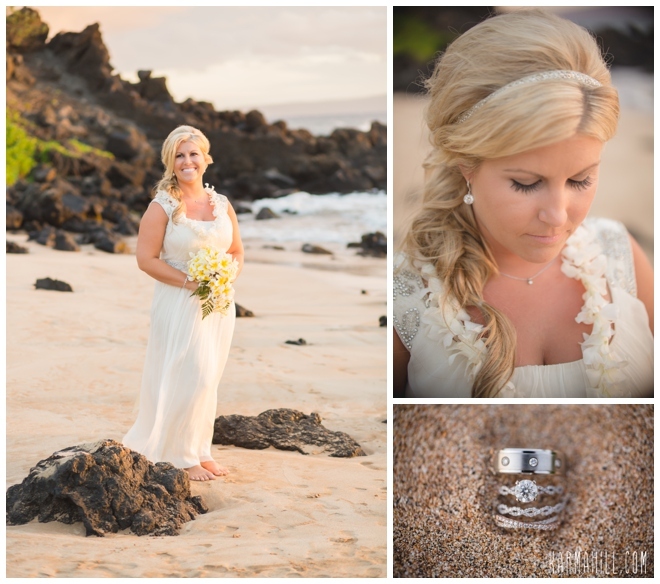 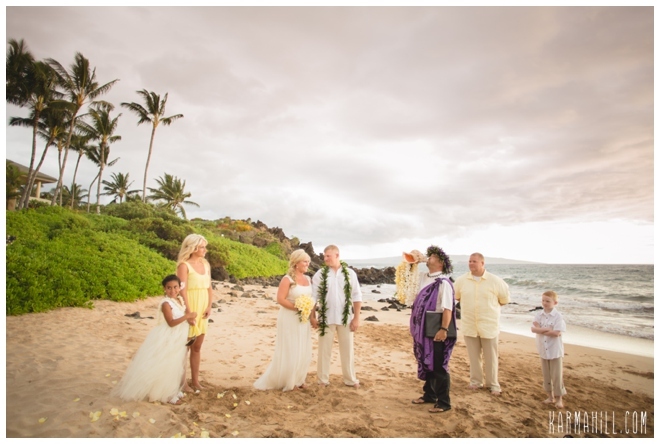 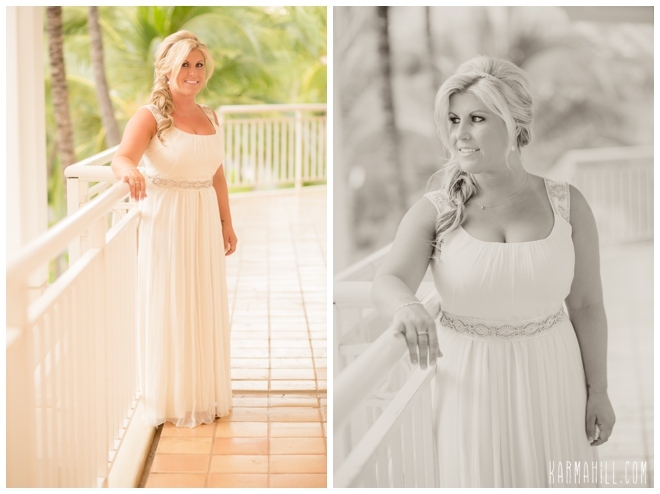 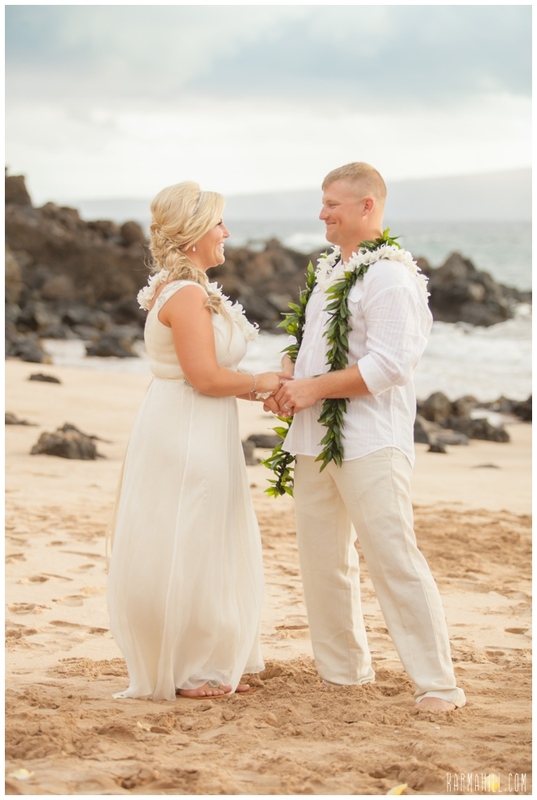 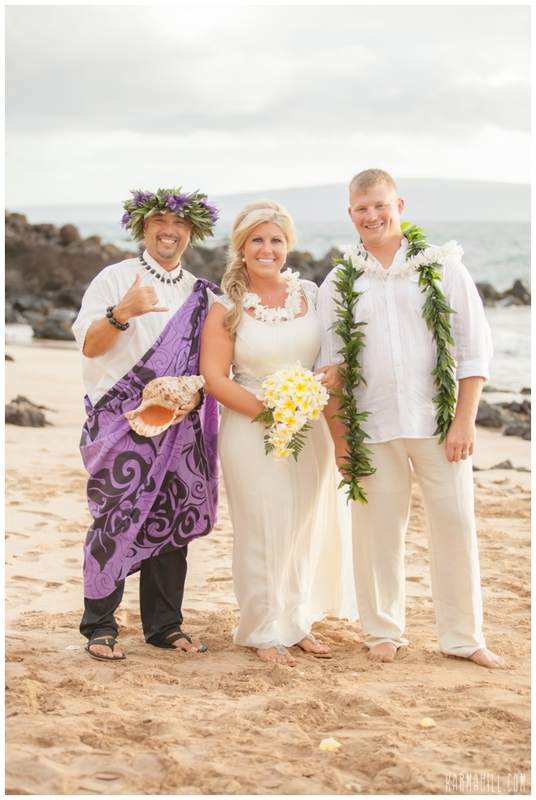 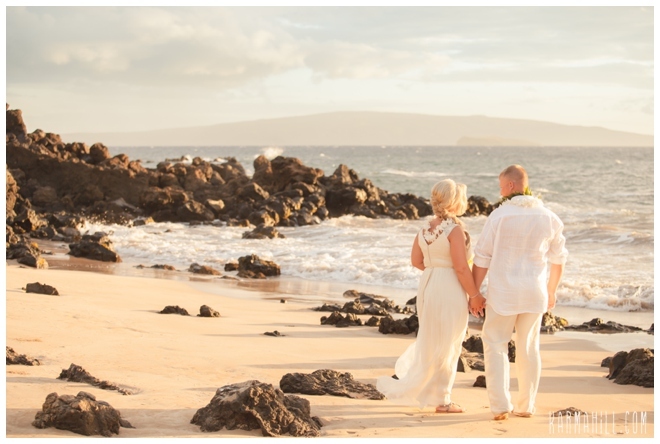 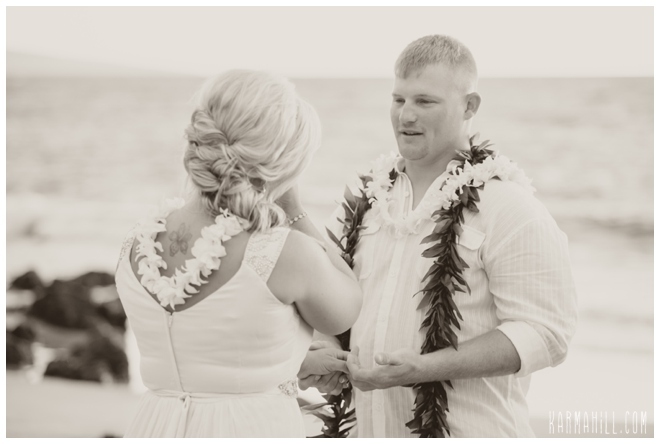 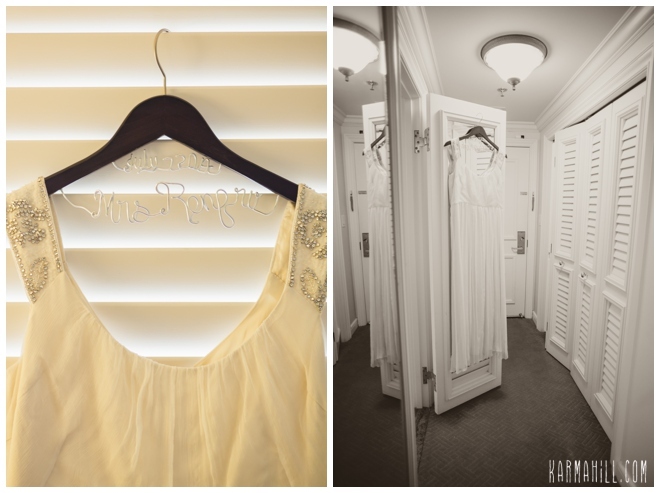 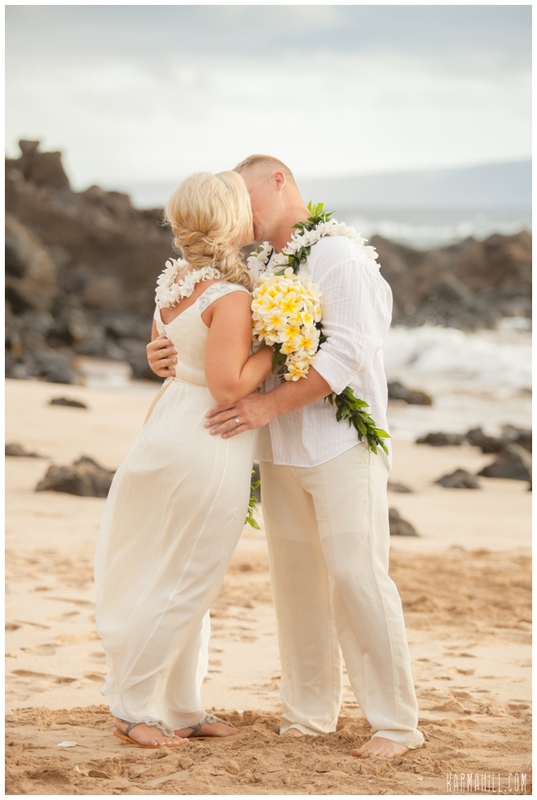 Check out our last Maui wedding with Colleen & Zak!